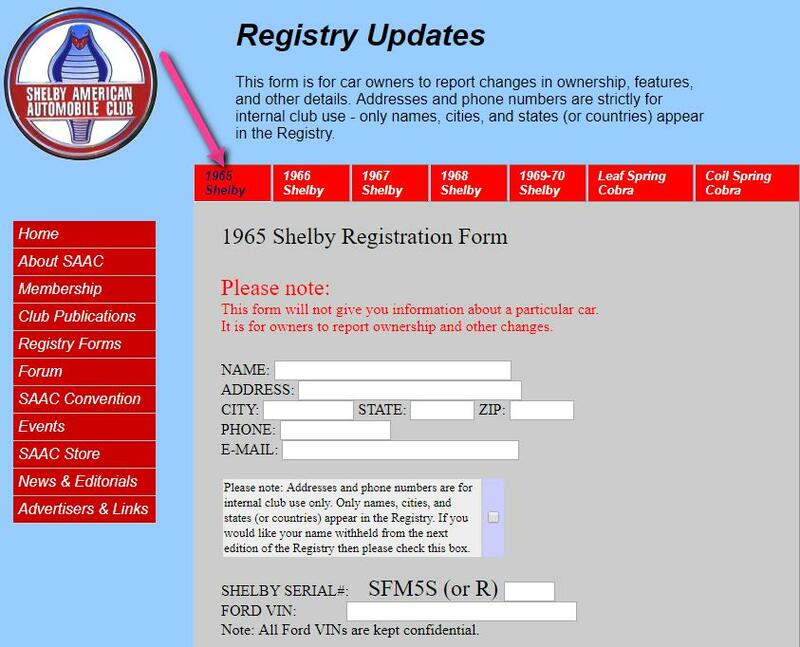 Now is the time to update your vehicle data with the SAAC 1965 Registrar. 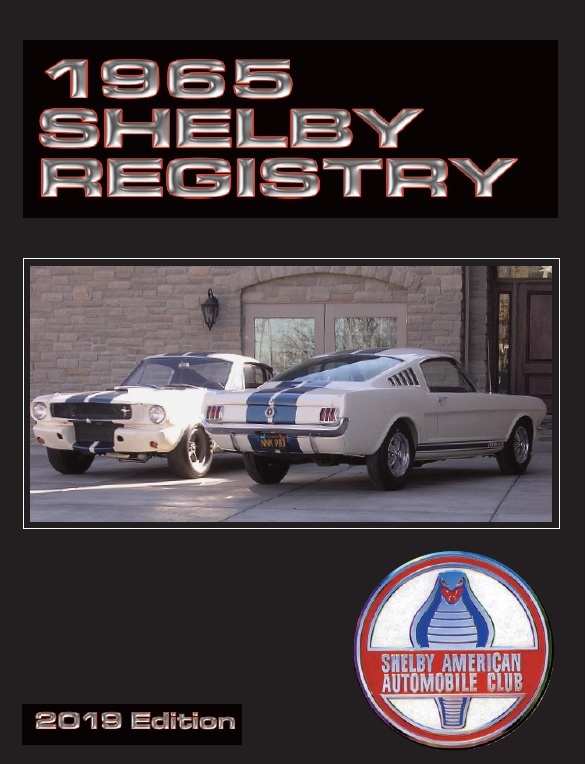 The 2018/2019 update process is now in session, in anticipation of the single-year publication of The 1965 Shelby Registry, scheduled for late 2019. ...many new owners may not have submitted their data and are not aware of this process. Ask them.. Tell them... Leave a note on their windshield... "Get your data to the Registrar!" Excellent! Thanks! What size should the picture be (preparing for a '66 submission later)? What size should the picture be (preparing for a '66 submission later)? Any size or resolution that shows the car is fine. Footnote photos will be rendered as smaller thumbs; excellent examples may be used for editorial.